Johann Poerschmann was a famous maker of wind instruments. It was from him that another future renowned maker of classical instruments – J.F. Grundmann – learnt his craft. Poerschmann was contemporary with J.S. Bach, he also lived in Leipzich, and was closely associated with that famous composer’s circle. He was a bassoonist in the musical group of the famous cantor, and godfather of Johann Christian Hoffmann, who was Bach’s friend and collaborator. Therefore, I am convinced that the oboes d’amore used for performing Bach’s works were the ones made by Poerschmann, not by Eichentopf, which are most frequently used nowadays. My replicas, just like the original, have a strong, deep and, what is characteristic, round tone in the entire scale of the instrument. Their sound is dark and velvet, rather than nasal. In my opinion, what is interesting and distinctive in Poerschmann style oboes d’amore, apart from the tone of the sound, is the fact that they ‘take in’ the air very lightly, which is extremely comfortable for oboists. 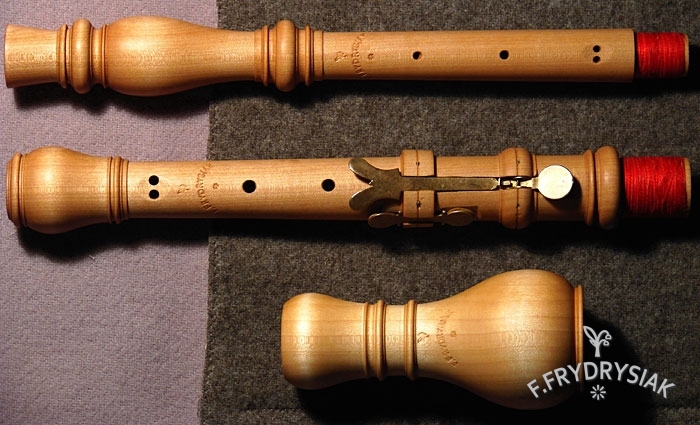 The replica of the oboe d’amore which I make is a copy of the only surviving instrument of this kind built by this maker (the original can be found in the National Museum in Poznan). The only one, because the other known specimen of Poerschmann’s oboe d’amore, which survives today in the museum in New York, differs completely from the instrument a copy of which I make. 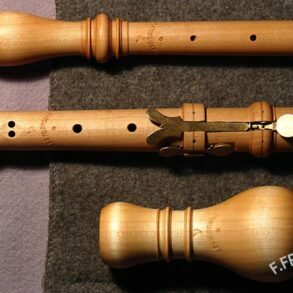 These differences refer both to the appearance and the bore of the oboe. Besides, the oboe in Poznan has survived in a very good condition, while the specimen in New York is cracked and its bore is soiled, which makes it impossible to study it thoroughly. The original from Poznan plays excellently at the pitch a’= 415 Hz. Thanks to that, my copies reproduce the original in every detail, since their pitch did not have to be changed in order to meet the requirements of modern performers of the Baroque music. I am the only oboe maker who makes copies of Poerschmann’s oboe d’amore from the National Museum in Poznan, (Poland, Europe).